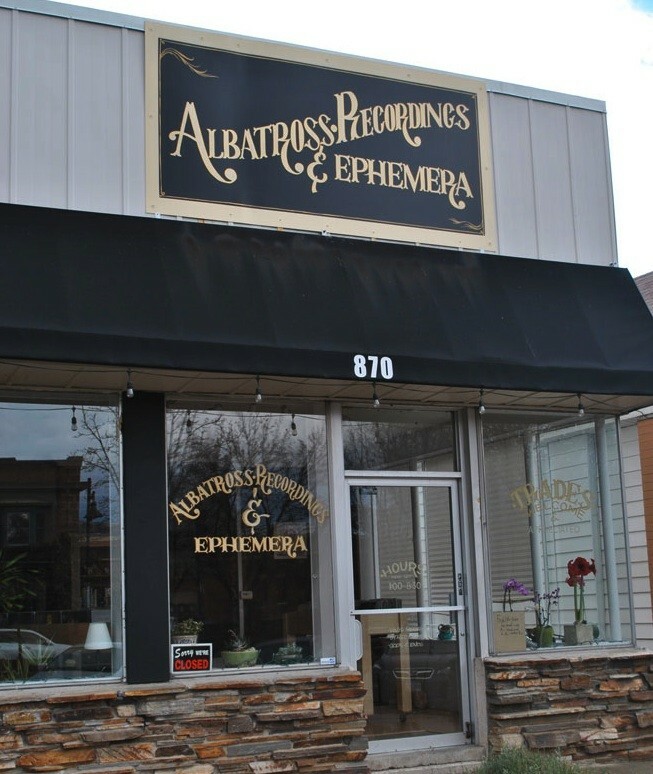 When Albatross Recordings & Ephemera and Diabolical Records opened in a shared space on Edison Street almost a year ago, they made a fitting match, with a passion for vinyl and other physical forms of music. But it didn't take long for them to start outgrowing their single-room location. 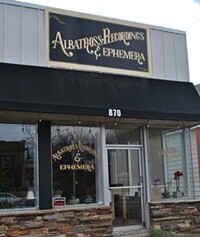 So, once Albatross owner Timo Hatziathanasiou's sublease expired, he began searching for a new space and, in mid-October, re-opened his record store at 870 E. 900 South in the funky 9th & 9th neighborhood. While the new location feels comfortable and "lived-in and inviting," Hatziathanasiou says, its roomier floor plan allows for a larger selection of vinyl, books, movies and other media, as well as more "ephemera": unusual and unique art and objects created by local and international artists. Local recording studio Salt Lake Recording Service (801-448-7577, SaltLakeRecordingService.com) is closing its doors after eight years. As the birthplace of a number of albums from a variety of local and national artists, the studio has more than lived up to its motto of "Will record anything, anytime, anywhere." Now, according to owner Brad McCarley, SLC reggae/ska band Wasnatch and Eric Eschelbach of Rock Solid Studios will be taking over the space and giving it a new name and focus. In the meantime, Salt Lake Recording Service has been wrapping up a handful of new local albums that you should make sure to check out. Tupelo Moan's final album was released Nov. 22, the new record from The Chickens will be out Dec. 13, and new albums from Triggers & Slips, Folk Hogan, Wasnatch and Cosmic Boss will be released over the next six months. Jesse Cassar, owner of The Shred Shed, is currently hunting for a new location for his all-ages venue. But until the move is official, The Shred Shed's remaining shows are being moved to Kilby Court (741 S. Kilby Court [330 West]), MusicGarage.org (250 W. 1300 South) and other SLC venues. Visit Facebook.com/ShredShedSLC/events and follow The Shred Shed on Twitter (@ShredShedSLC) for the most up-to-date concert information. Located in the basement space previously occupied by Ogden jazz joint The Wine Cellar (which closed in October), new watering hole Funk 'N Dive Bar (2550 S. Washington Blvd., 801-621-3483) opened Nov. 22, and is co-owned by Bridget Gordon of The Green Pig Pub and Dave Morris of Piper Down. The "retro American-style dive bar" will feature plenty of entertainment—live music, DJs, trivia, karaoke and more—seven days a week, as well as a drink menu of $2 cocktails, made-to-order craft cocktails and cheap beer. Visit Facebook.com/FunkNDive for more information.